In an interesting update to their Webmaster help pages document, Google has revised and expanded some of their warnings about link schemes – warnings which will almost certainly apply to the SEO tactics of many websites. Just like with the Panda update last month, it seems as though Google is pushing webmasters and SEO practitioners away from straight link building (and encouraging them to delve into and update their link profiles while they’re at it). There are a few changes worth noting in the new link scheme guidelines. The biggest change is that Google appears to be downplaying the importance of links to your search engine ranking entirely, since they removed the original first paragraph of the guide. That paragraph originally opened with, “Your site’s ranking in Google search results is partly based on analysis of those sites that link to you. 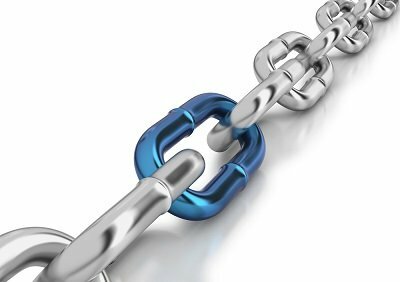 The quantity, quality, and relevance of links influences your ranking.” By removing this paragraph, it could indicate that Google wants to lessen the importance of inbound links entirely, and to have webmasters and business owners focus on curating content rather than building links. Large-scale article marketing or guest posting campaigns with keyword-rich anchor text links. Advertorials or native advertising where payment is received for articles that include links that pass PageRank. Links with optimized anchor text in articles or press releases distributed on other sites. In short, Google is attempting to move away from allowing sites to rank themselves using keyword-rich content posted on other sites, such as press releases, guest blog posts, and advertorials. These link building methods used to be solid strategies for improving SEO, but now could end up hurting your overall website rank if you rely on them as your core link building strategy. So what to do? Well, at the bottom of the page, Google still encourages website owners to get links the old-fashioned way – create interesting, engaging, and useful content that other websites will want to link to. If only it were that easy. For now, the best strategy for many businesses and local sites is going to be moving away from keyword-rich guest posts and press releases, and instead working towards a more natural style of content posted mostly on your own website or blog. Don’t be too concerned with keyword optimizing – instead, genuinely try to make your work read naturally and informatively. Also, make sure you’re taking advantage of other avenues toward SEO success. Local citations, social media, and Google’s network of resources (including Maps and Google+) are all great ways to give your website’s ranking a boost, and they aren’t subject to any link scheming Google might object to down the line. You can view Google’s entire webmaster help page about link schemes here.